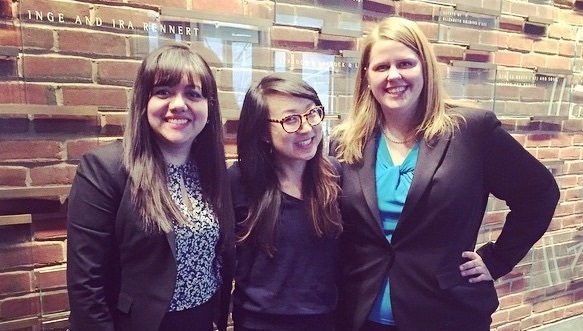 The law school is pleased to announce that second-year students Alejandra Aramayo, Kamille Go, and Kathryn Kimball won best brief out of 16 teams at the NYU Law School’s Tenth Annual Immigration Moot Court Competition last weekend. The team, coached by Professor Amanda Frost, also made it to the quarter finals of the oral advocacy portion of the competition. The Immigration Law Competition at NYU focuses on cutting-edge issues in the field of immigration law.